Jody O'Donnell won the National Championship in Group 6-A Production in his Duntov prepared 1969 Corvette. He led every lap and was never challenged for the lead. Jody's car had undergone extensive repairs following the unfortunate incident at Watkins Glen in September. The Duntov crew got the car ready in the nick of time, and it was perfect right out of the trailer. In addition to Jody's car, Duntov crewed four other cars at this prestigious event, including the formerly fire damaged Corvettes of Jim Kitzmiller and Clair Schwendeman. These two cars were completed just in time for the season ending race, but not in time for any pre-race testing. They appeared for all intents and purposes to be brand new cars, as essentially they were. According to their drivers, both cars handled better than ever. Unfortunately, both cars had engine issues and didn't make the feature race. 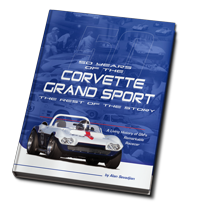 Duntov also looked after Tony Parella's 1958 Corvette and his 1934 Indy car. 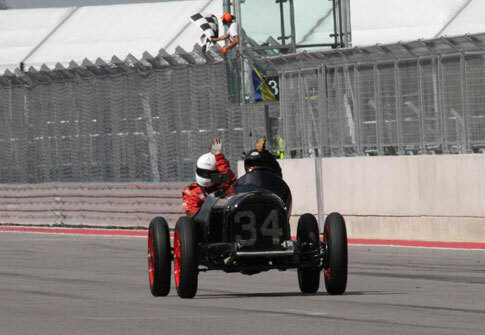 Tony took a passenger along in his Indy car in the prewar race. He was too busy being the CEO of the event to ever even get in the '58. Just before the 58's first race, Tony asked Edward to run the car. Edward had no practice in the car either, and he had to start 63rd! 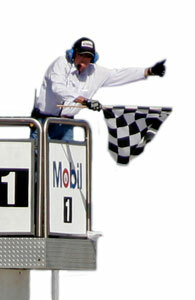 The first race was red flagged after four laps, the result of a blown Porsche engine that oiled down the esses. Edward was up to 29th at the end of the race and started there for the 20 minute feature race the next day. Edward ended up winning first in class and the National Championship in Group 4- B Production in Tony's showroom stock, drum brake Gold Medallion racer.